Does this sound familiar? You’ve told your teen she can’t go out with her friends this Friday because she came in past curfew last weekend. There’s been a huge fight where one—or both of you—lost control and screamed at each other. Now the tension in the house is unbearable. Your child is irritable and argumentative—or sullen and moody—and you’re walking on eggshells around her in order to avoid a repeat performance. To put it mildly, adolescence can be a rocky time between parents and teens. After all, our perspective on life is very different. Often, teenagers try to be invisible because they feel like all eyes are on them constantly. Perhaps they want to buy the newest fashion trend so they can fit in and look like everyone else. Their thoughts and behaviors revolve around dealing with their reality. Parents, on the other hand, are focused on more practical concerns. They’re thinking about things like, “How are we going to have enough money for college?” or “What can I do with my kid who’s more concerned about fitting in than her test tomorrow?” When your teen asks to buy an expensive pair of jeans or some other fashion item that she “has to have,” you may get worked up and think, “I just bought her a new pair of sneakers and now she wants something else? 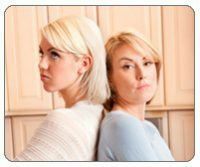 She doesn’t do anything to help around the house, but she’s always asking for more, more, more.” Your child wants something, you say no, and then come the fights, disagreements and hurts—and tension grows in the relationship. But it doesn’t have to be this way. Just as there are ways to avoid blowout fights, there are also ways to avoid the animosity and tension afterward. I want to say very clearly that it’s normal to feel upset after a fight with your teen. It’s also important to remember that each person deals with the aftermath of an argument in their own way. Here are 7 steps towards defusing the tension. Give yourself and your child the space needed to gain back equilibrium. Tolerate the tension without feeling that you have to get your teen feeling good about you again, or that you need to get her out of her funk and negativity. Don’t be needy by wanting her to be okay with you immediately. It’s important to deal with your own feelings after the fight without needing your child to validate you. There are many possibilities for tension after a fight. Think about what it might be for you. Are you left with hurt and angry feelings about things said in the heat of the moment? Could your teen be left with bad feelings from the way you treated her? Is it possible that your teen is upset because she couldn’t get what she wanted and her anger is a way for her to release her disappointment and frustration? Could it be that your child feels fine because the blowout helped her release all of her distress, while you’re left feeling tense and miserable? 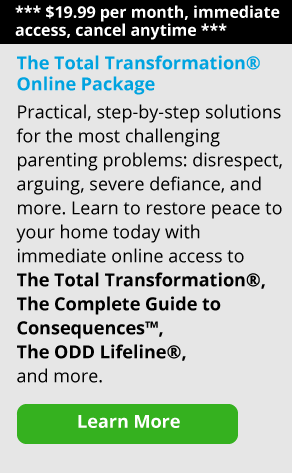 Maybe you’ve been changing the way you’ve been engaging with your child, and she’s uncomfortable and unfamiliar with your new parenting style. Now she’s provoking you in an attempt to change you back. When kids do this, understand that they really are testing you to see if you mean what you say—or to see if they can continue to manipulate you somehow. Whatever the reasons, it’s natural to have some tension between the two of you after an outburst. Sometimes you’ll feel the effects for weeks. Once you think it through and own your contribution to the tension, you’re ready to either let it go, or address it with your teen. If your teen hurt you with verbal attacks, it’s okay to tell her you were hurt by her words and actions. It may take you a while to feel like engaging with her again, and that’s okay. Remember that not everything needs to be addressed all the time. For example, if you feel you’re in the clear and that you did nothing other than set a limit, you don’t need to apologize or re-open the discussion. Don’t change your mind in order to defuse the tension. Nothing more needs to be addressed other than an empathetic statement like, “I wish the circumstances were different and I could have allowed you to go out with your friends. But that isn’t the case this time. I know how much you wanted to go and I’m sorry for that.” Allow your child her feelings of disappointment or frustration—and work to tolerate your own feelings of guilt and discomfort. Remind yourself that those feelings are temporary. If you sense that your child is trying to provoke you by using guilt or the silent treatment in order to “change you back” to the way you were before you started setting healthy boundaries, just let it be and don’t give it legs. Nothing needs to be addressed. You haven’t done anything wrong. Just disengage and the tension will eventually defuse itself. On the other hand, if you recognize that you lost control during the blowout, apologize for your behavior and any hurt you caused. Don’t use the word “but” when you apologize; in other words, don’t say things like, “I’m sorry I yelled at you, but you were making me crazy.” Just keep it short: “I’m sorry for losing control.” Address what needs to be addressed, learn from it so you can do better next time and then let go and move on. And if nothing needs to be addressed, just disengage. If your child is giving you the silent treatment, you don’t have to join in. Speak to her anyway if you feel ready to engage—without being mad at her if she is not. Even though you may not get an answer from her, you can say, “Boy, it doesn’t sound like you’re ready to talk to me yet.” And then just go on about your business. Sometimes parents can hold grudges. They may feel disgusted and angry by something their child did and so they hold onto that anger. How do you know if you’re holding a grudge unfairly? I think you just have to keep checking in on yourself and take responsibility for what you’re feeling. If the fight is over and you find yourself simply wanting to give your child the cold shoulder, or you’re picking on her and being critical for no reason, those are signs you’re not finished—there are some unresolved feelings there. This is why it’s so important to acknowledge that there’s tension in the first place. So check in with yourself, see how you’re acting, and observe what you’re doing. Think about why there’s tension, and then address it if it needs to be addressed. Don’t try to get rid of your child’s negative feelings by discounting them or trying to cheer her up when she’s still mad. Also, don’t argue about who was right or wrong. I think many parents sense tension when they know their kid is mad at them and they try to make it better by pretending nothing happened or by being falsely cheerful—but they only end up making matters worse. This is actually needy behavior. When you feel bad and want everything to be okay—and you don’t let your teen have the space to get back on her own feet—it’s not fair to her. Instead of doing that, try saying, “I know you feel angry after our fight. So do I. When we both feel better, I hope we can talk about it and then move on.” Don’t keep discussing the fight. Move on so the elephant can move out. 5. "I'm Right and You're Wrong!" Is Your Child a Know-it-all?